An early maize harvest could catch farmers out unless they start monitoring crops soon according to Tim Richmond from Limagrain. 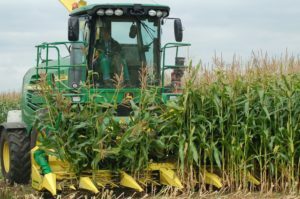 With maize harvest looking to be at least two weeks earlier in many parts of the country he says it is important to focus on harvesting their maize in optimum conditions. Mr Richmond says there are two main reasons why the maize harvest should be significantly earlier this year. The first is the season where, as a result of the prolonged drought, crops are generally two weeks ahead of normal. “The hot weather means the accumulated Ontario Heat Units are already high meaning crops are maturing quickly. We have seen early tasselling and crops drying down quicker. 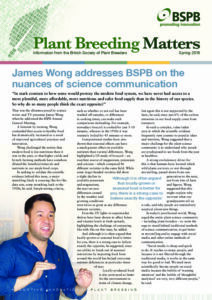 “The second reason is that to help reduce the problems created by the cold, wet spring, lower soil temperatures and delayed drilling, we saw a swing from later maturing varieties to earlier maturing options. Early varieties will typically mature two weeks ahead of later maturing varieties, irrespective of the season. Where a farmer switched varieties, they could be looking at harvesting four weeks earlier than last year. “Correct timing of harvest is essential to ensure the best yield of high quality maize silage by, so I recommend walking crops from late August to assess maturity. “The target range for an optimum crop is 32-35% dry matter as this maximises the dry matter yield and starch content while also maintaining better digestibility in the vegetative part of the plant which typically contains 50% of the energy. “At dry matter levels higher than this, palatability and intakes can be reduced, digestibility will be compromised and the crop may prove difficult to consolidate, increasing the risk of aerobic spoilage. 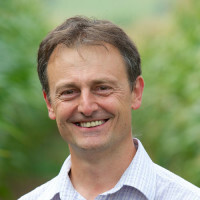 “Crops typically dry down at 2% per week but this year it will be much quicker, possibly as high as 4% per week, so it is important to start measuring dry matter and assessing maturity sooner rather than later. “Look to harvest when no juice emerges as the stem is twisted, and when the leaves level with the cob are just beginning to turn brown. The grains at the top of the cob should be like soft cheese, the ones at the bottom should be like hard cheese and the ones in the middle should be soft enough to leave the imprint of a thumbnail on. Our Maize Manager app contains all the information needed to assess crops for harvest.